The theatre is located at the foot of the Hill of the Muses (Philopappos) and its seating capacity is 900 persons. It bears the name of the outstanding Greek actress and choreographer who contributed to the preservation of Greek folk music and traditional dances. 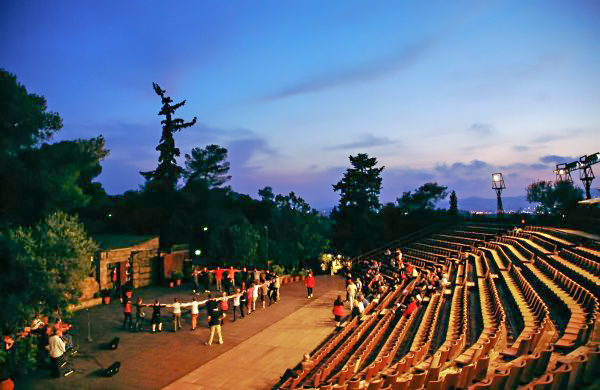 Greek Dances Theatre “Dora Stratou”. A dance show at the outdoor theatre “Dora Stratou”. The theatre’s permanent stage set was supervised by the famous painter Spyros Vassiliou.